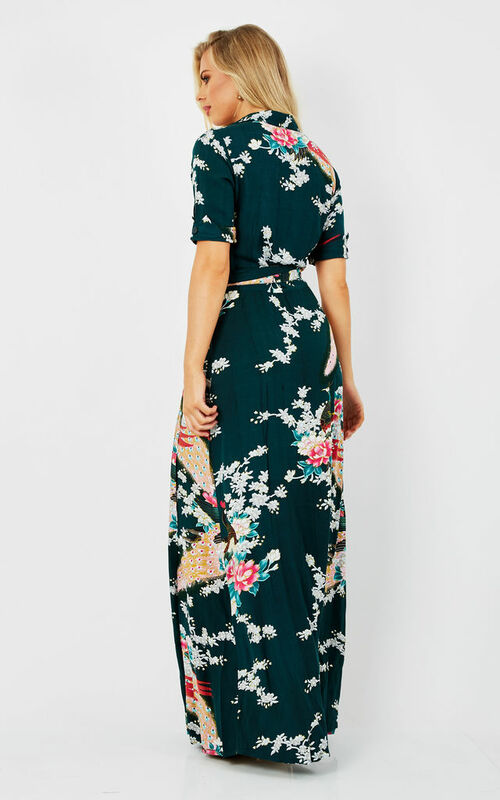 Elegant vintage inspired wrap maxi dress in a pretty duckegg blue oriental peacock print. Nipped in at the waist with a tie belt and A line circle skirt . Perfect for all occasions , great with heels or flats .